There’s probably a good reason that late-night e-mail rant to a vendor backfired. When it comes to tough discussions, businesspeople need to stop texting and e-mailing and start talking, says Susan Pinker, a developmental psychologist and author of the new book The Village Effect: How Face-to-Face Contact Can Make Us Healthier, Happier, and Smarter. We had a heart-to-heart conversation with Pinker to find out why this matters so much for startups. You say we should use the phone or face time for “nuanced” interactions. We’re not even aware that using digital tools for difficult conversations is the path of least resistance. Instead of walking down the hall to solve a problem, people are relying more and more on e-mail, when that’s not as effective. Early on in a business, the last thing you want is to try to resolve a misunderstanding or conflict via e-mail. Why is building human contact into your workday vital? We’ve discovered a paradox that has come with the digital revolution: E-mail is a wonderful platform, but it’s just not right for all communication. Think about the fact that ending an in-person meeting with a handshake or cheering colleagues with a fist bump is usually connected to better results. Based on recent research, if you haven’t connected with your business contacts and clients in person within the last 18 months to four years, make a point to meet with them. Our relationships decay unless we have real contact. The proof is in: Amply staffed businesses with well-trained, well-paid employees who enjoy working together, including Costco, Trader Joe’s and QuikTrip, generate bigger profits. Many of us assume that if we’re in digital contact, the relationship is still alive, but that’s not true. 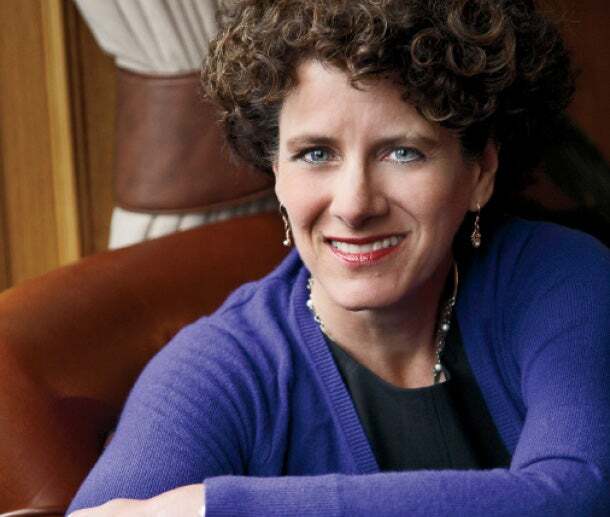 Talk therapy: Psychologist Susan Pinker. Researchers in the field of social neuroscience have found that we need face-to-face meetings to survive and thrive and to make us feel good. It’s those meetings that prompt the release of hormones and neurotransmitters that tamp down stress. People think this is an inefficient use of time, but these meetings will almost always pay off in terms of your business productivity. How can an overworked entrepreneur balance face-to-face communication and screen time? You need to adjust it according to your temperament, just as you adjust how much and what you eat according to your appetite. Some of us need a whole lot of social contact to function well, to grease the wheels of our day and to increase our productivity. For entrepreneurs in startup mode, it’s very important to figure this out at the outset. If you’re gregarious, working entirely on-screen won’t suit you as an individual and won’t be good for your business. You might be better suited to working in a communal office space that could also provide a place to jump-start ideas. If you’re an introvert and assume others are too, you’re making a fatal mistake. Human contact matters for everyone. How should we be using social media? Social media works best when it fosters in-person meetups. For example, during a meeting with a vendor, it’s great to look at your Instagram page together to view new designs or inspirations. Use Facebook or LinkedIn to organize networking events. This may sound old-fashioned, but it really pays off. At the highest echelons of business, this is what people do.